Israeli soldiers invaded, earlier on Thursday, several Palestinian cities and towns in different parts of the occupied West Bank, and kidnapped six Palestinians. 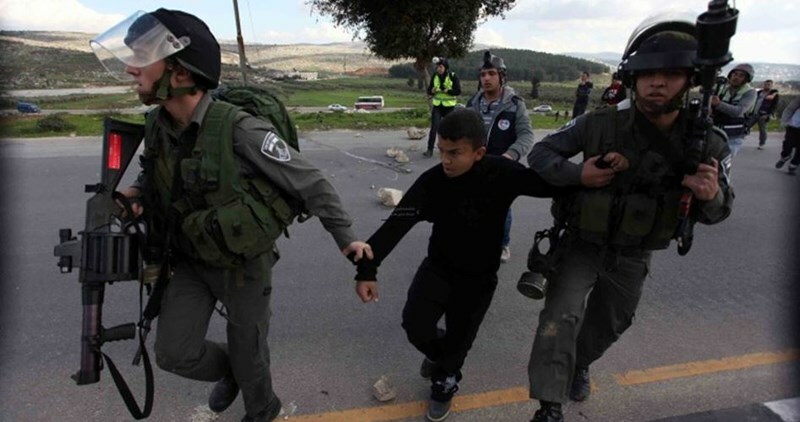 The soldiers also attacked schoolchildren, near Bethlehem, and detained them. The Palestinian Prisoners Society (PPS) said the soldiers invaded various areas in the northern West Bank city of Tulkarem, and kidnapped Basman Makhoul, 17, and Khaled Hussein Abu Khazna, 22. The PPS added that the soldiers kidnapped a former political prisoner, identified as Monadel Sharqawi, from Jenin, in the northern part of the West Bank. 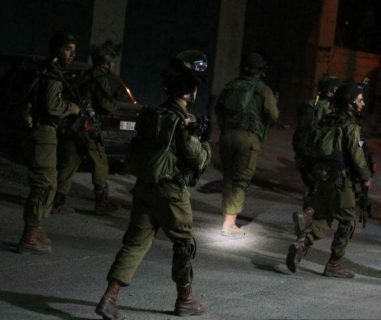 The soldiers also invaded the southern West bank district of Hebron, and kidnapped two Palestinians, identified as Marwan Yousef Rajabi, 33, and Hamza Shehda al-‘Allami. Furthermore, the soldiers attacked and detained several schoolchildren in Teqoua’ town, east of the West Bank city of Bethlehem. In related news, the soldiers kidnapped a Palestinian woman, identified as Wi’am Lutfi Manasra, 50, while visiting her son, Osama Sallal, in Section Two of the Ramon Israeli prison. Manasra is from Bani Neim town, east of Hebron; her son is serving a 17-year imprisonment term. 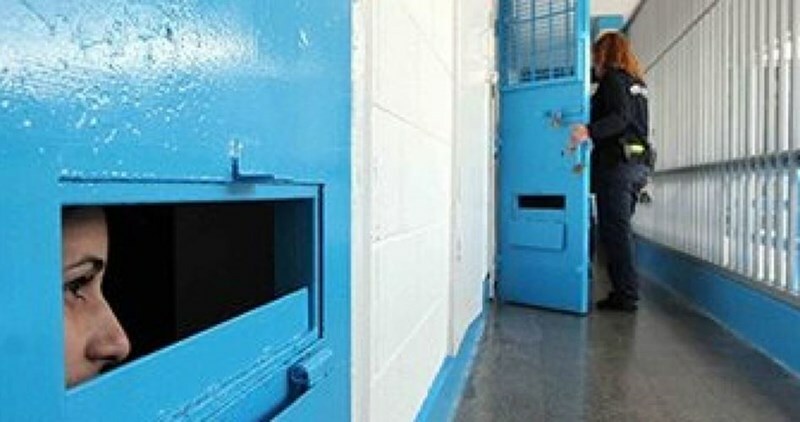 The Israeli Occupation Forces (IOF) arrested Thursday a Palestinian woman as she was on her way to visit her son held in Raymond prison, the Palestinian Prisoners Society (PPS) revealed. Wiam Lutfi Manasra, 50, a resident of the town of Bani Naim east of al-Khalil, was detained as she was heading to the Raymond prison to visit her son, the PPS affirmed. 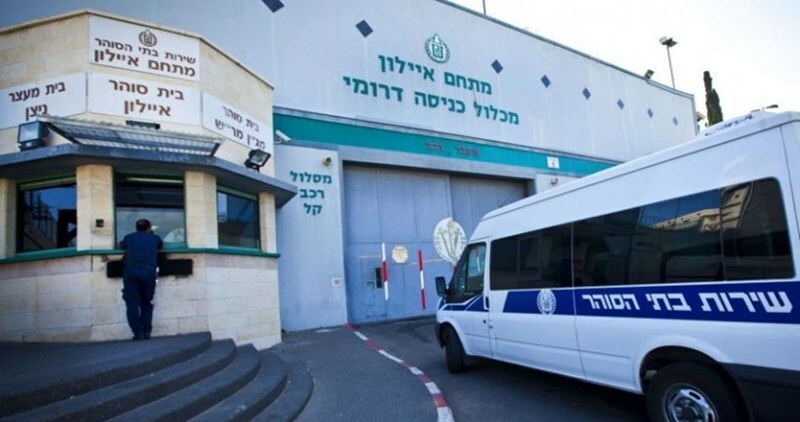 PPS added that following Manasra’s detention, Israeli prison guards raided Section 2 of the Raymond prison, where her son Osama al-Salal, who is serving a 17-year prison sentence, is held. On Monday, Israeli forces also arrested another Palestinian woman while on her way to visit her imprisoned son in Negev prison. Meanwhile, Israeli courts renewed the administrative detention of the Palestinian female prisoner Sana Abad for three additional months for the second consecutive time. The Palestine Center for Prisoners’ Studies stated that Abad was arrested on February 2016 after violently breaking into her house north of al-Khalil. Abed was charged of “incitement” and supporting Palestinian resistance in social media. Israeli authorities renewed Abad’s administrative detention only two days before her release, the center added. Since last October, 28 Palestinian young women were arrested for “incitement” in social media. At least six of them are still held behind Israeli bars, while eight others are held in administrative detention. According to Palestinian prisoners’ rights group Addameer, 7,000 Palestinians are currently held in Israeli prisons, including 68 women. The Israeli police arrested Thursday a Jerusalemite minor after clashes erupted in Silwan town east of occupied Jerusalem. 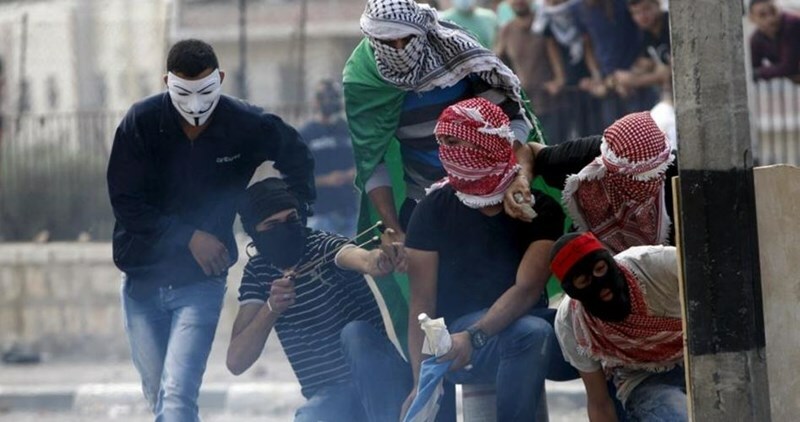 Wadi al-Hilweh Information Center affirmed that the clashes broke out when Israeli policemen violently stormed the town and provocatively broke into a number of local homes. Heavy teargas bombs and rubber bullets were fired during the confrontations, while a 17-year-old boy was arrested. Along the same line, an unidentified Palestinian young woman was also arrested Thursday morning after being stopped and searched in the occupied city. Last month, more than 2,013 Jerusalemites were arrested including 60 minors during overnight raids or clashes with Israeli police. Israeli police forces rounded up 20 Palestinian workers in the vicinity of Modi'in settlement in 1948 occupied Palestine on Thursday. 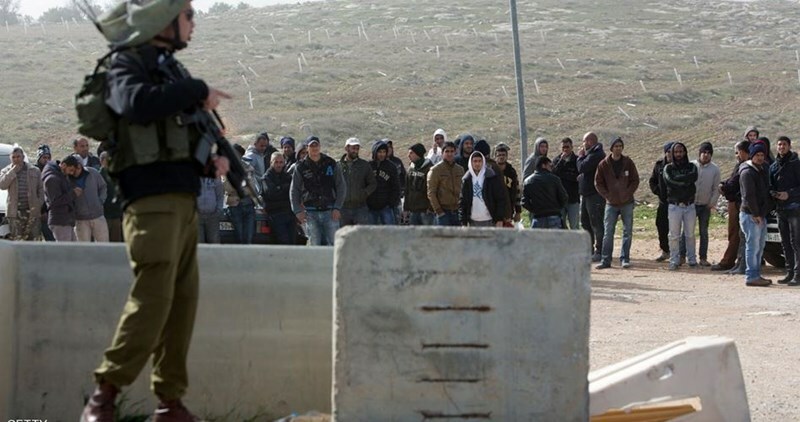 Radio Israel said that the policemen detained the workers for lack of legal work permits. It added that 12 of them were deported back to the West Bank while 8 were detained for further investigation. Israeli police forces systematically target Palestinian workers from the West Bank who infiltrate into 1948 occupied Palestine seeking jobs. 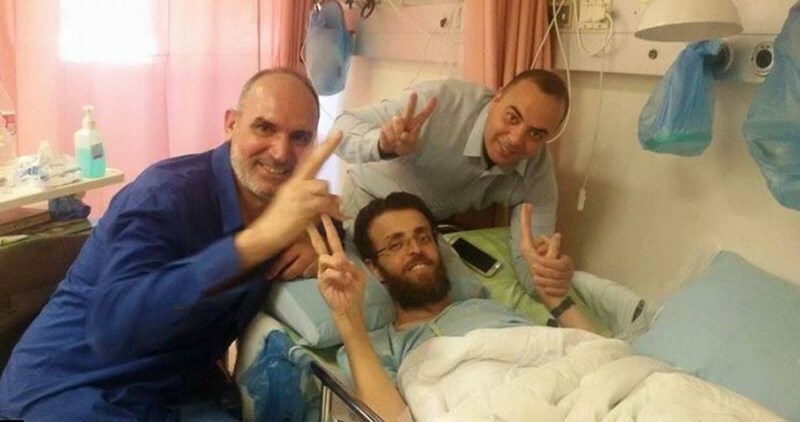 The Palestinian Prisoner Society (PPS) said the Israeli prison authority refused to allow one of its lawyers to visit prisoner Sa'ied Musalam in Soroka hospital after he suffered a stroke two days ago in Negev jail. According to the PPS, the prison authority justified its measure by claiming there was something wrong with the powers of attorney held by the lawyers who asked to visit the prisoner. The prison authority also claimed it would investigate this problem and reply to the requests submitted in this regard by the lawyers. The PPS condemned the Israeli measure as part of the pressure policy pursued by the Israeli prison authority against the prisoners, their families and their lawyers. Prisoner Musalam, from Talfit village in Nablus, is serving a 16-year jail term. The Israeli Occupation Authorities (IOA) arrested 28 young women over Facebook posts since the outbreak of Jerusalem Intifada last October, the Palestine Center for Prisoners Studies revealed Thursday. The rights center stated that Israeli forces notably escalated arrests against Palestinian women over the past seven months under flimsy pretexts. According to the center, some Palestinian women were arrested while confronting settlers’ break-ins into al-Aqsa Mosque, or allegedly planning anti-occupation attacks, or visiting their relatives in Israeli jails. However, Israeli authorities invented since the outbreak of Jerusalem Intifada a new charge against Palestinian women. 28 Palestinian young women were arrested for “incitement” in social media. At least six of them are still held behind Israeli bars, while eight others were held in administrative detention. The rights group stated that Israel’s deliberate targeting of Palestinian women came as part of its collective punishment policy. The Israeli Occupation Forces (IOF) stormed overnight and at dawn Thursday different areas to the south of the West Bank. At least two detainees were rounded up in al-Khalil. Local sources told the PIC reporter that Israeli forces stormed in large numbers the Old City and al-Fahes area in al-Khalil before arresting a young man. Several other areas to the south of the city were also stormed and searched while a group of youths were detained for a short time before being released. Similar raids were reported in Takoa town to the southeast of Bethlehem. A young man was arrested during the raid. 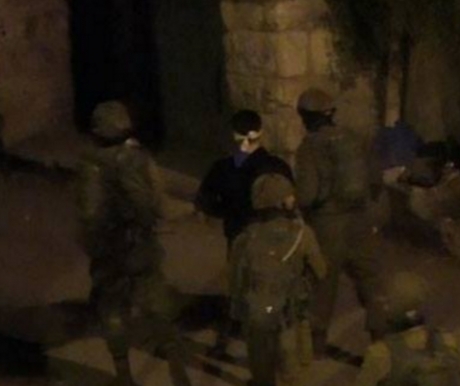 At least one detainee was rounded up as IOF stormed Atil town in Tulkarem. The occupied city of Jerusalem has also witnessed raid and search campaigns. The number of Palestinian prisoners held in Israeli prisons has reportedly seen a dramatic rise since the beginning of the third Palestinian Intifada last October. More than 7,000 Palestinian prisoners are currently held in some 17 Israeli jails, many of whom are serving multiple life sentences. Israeli soldiers invaded, on Wednesday evening, the town of al-Khader, south of the West Bank city of Bethlehem, kidnapped a child, only 11 years of age, and refused to allow any member of his family to accompany him. Ahmad Salah, coordinator of the Popular Committee against the Annexation Wall and Colonies in al-Khader, said the soldiers took the child to the District Coordination Office, near the western entrance of Beit Jala city. Salah added that the soldiers have recently escalated their invasions into the town, and conducted frequent invasions and searches of homes, in addition to firing many gas bombs and concussion grenades. The Palestinian imprisoned journalist Mohamed al-Qiq, who had launched a hunger striker for three months, is scheduled to be released next Thursday from Nafha prison, family sources revealed Tuesday. In a brief statement, the family affirmed that their son is scheduled to be released on May 19. Moahmed al-Qiq, who worked for a Saudi media outlet, was arrested on November 21, 2015. He was held in administrative detention for six months after being subjected to tough investigation. Al-Qiq began his hunger strike on 25 November last year in protest against his administrative dentition and ill-treatment in Israeli jails. 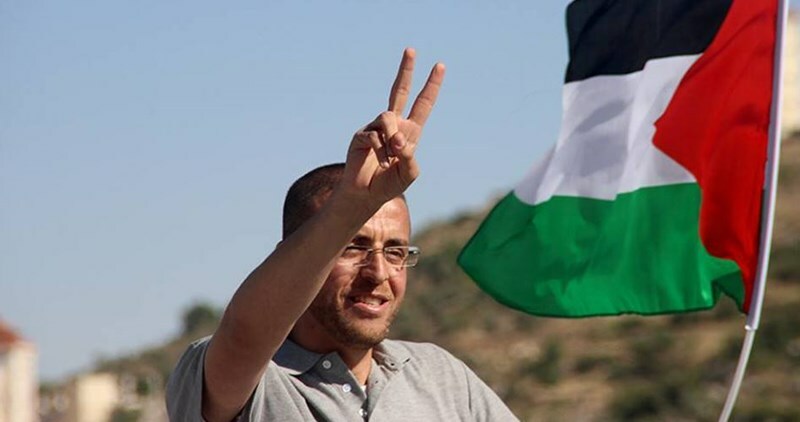 Al-Qiq, the Palestinian activist and journalist, has ended his three-month hunger strike after reaching an agreement with Israeli Prison Services that states he will remain in custody until May 21, but his administrative detention will not be renewed after that. 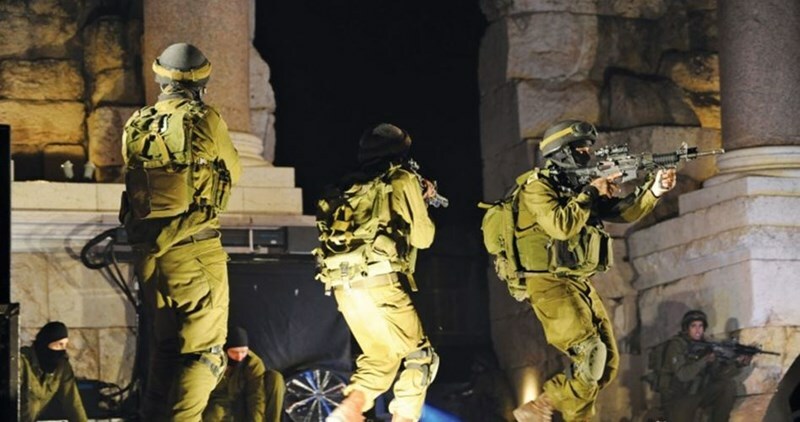 The Israeli Occupation Forces (IOF) carried out overnight and at dawn Wednesday a large-scale raid and arrest campaign across the West Bank and occupied Jerusalem. Two leaders in Hamas Movement were among the detainees. In Jenin, Israeli forces arrested the former minister for prisoners’ affairs and the leader in Hamas Movement Wasfi Qubaha after violently breaking into his house and detaining his family members in one single room. Qubaha spent more than 12 years behind Israeli bars in separate arrests. In Tulkarem, Israeli forces also detained the leader in the Movement Ra'afat Nasif from his house. Nasif spent several years in Israeli jails including two years in administrative detention. An ex-detainee was also arrested in occupied Jerusalem, while another detainee was rounded up near Jenin. In Bethlehem, Israeli forces stormed different areas surrounding the city before arresting two young men and summoning three others for investigation. In al-Khalil, a similar raid and search campaign was carried out throughout the city. Several detainees were rounded up during the campaign. On the other hand, a group of Israeli settlers attacked overnight Palestinian homes in Tel al-Rumaidah in al-Khalil under the protection of Israeli forces. Israeli soldiers also stormed at dawn today Iraq Burin town south of Nablus and summoned head and members of the village council for investigation over an alleged shooting attack on a nearby settlement. Israeli forces erected a checkpoint at the entrance to the town since the early morning hours and started searching the passing-by vehicles. Similar searches were carried out at the entrance to Salem village east of the city, while tight military restrictions were imposed on Beit Furik town. Israeli soldiers kidnapped, earlier on Wednesday, at least six Palestinians, including two teenagers, in different parts of the occupied West Bank, after invading their homes and searched them. Mohammad Awad, of the Popular committee in Beit Ummar town, north of the southern West Bank city of Hebron, said many military vehicles invaded various neighborhoods in the town, especially downtown area, ‘Erq al-Latoun and ath-Thaher, and kidnapped Mohammad Issa Bahar, 52, and Wahbi Ibrahim Bahar, 16. Bahar was kidnapped from a bakery where he works, after the soldiers assaulted him, causing cuts and bruises. The soldiers also searched his home, in addition to the homes of Bahar and Sa’id Mustafa ‘Aadi. In addition, the soldiers invaded Beit Fajjar town, south of Bethlehem, searched many homes and kidnapped a young man, identified as Ala’ Mohammad Taqatqa, 21. The soldiers also summoned two children, identified as Abdul-Qader Sultan Taqatqa, 15, and Issam Mohammad Taqatqa, 15, for interrogation in the Etzion military base, south of Bethlehem. Two Palestinians, identified as Jamal al-Badan, 17, and Ammar Yasser al-‘Amour, 17, were also summoned for interrogation, after the soldiers invaded and searched their families’ homes in Teqoua’ town, east of Bethlehem. Furthermore, several military vehicles invaded the northern West Bank city of Jenin, and Kar Dan village, west of the city, and kidnapped a former legislator and two young men, after searching their homes. 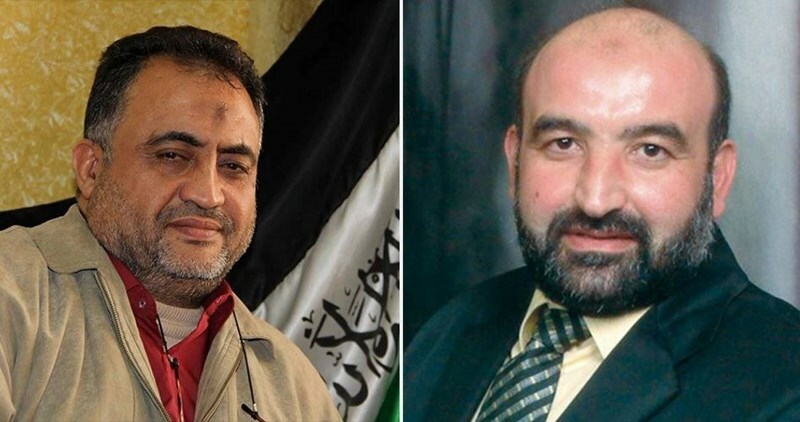 The Palestinian Prisoners’ Society (PPS) said the soldiers kidnapped legislator Wasfi Kabaha, 52, from his home in the al-Bustan neighborhood in Jenin, and Luay Tafish, 28. The PPS added that more than sixteen army jeeps also invaded Kafr Dan village, before the soldiers searched homes and kidnapped Yousef Turkman, 25. It is worth mentioning that legislator Kabaha was kidnapped and imprisoned at least nine times, spending more than fourteen years in prison, including being repeatedly held for extended periods under Administrative Detention order, without charges or trial. Palestinian prisoner Hasan Salama has expressed his confidence in the ability of al-Qassam Brigades of Hamas to extract the freedom of all prisoners from Israeli jails. "Our brothers in al-Qassam Brigades, we highly trust in you and you are our hope of getting out of these prisons," Salama said in a brief letter addressed to al-Qassam Brigades on the 20th anniversary of his arrest. Prisoner Hasan Salama, from Khan Younis refugee camp in Gaza, has become one of the deans of prisoners today after he spent 20 years of his life prison terms. He was arrested on May 17, 1996 and received 48 life sentences on charges of carrying out attacks against Israelis. 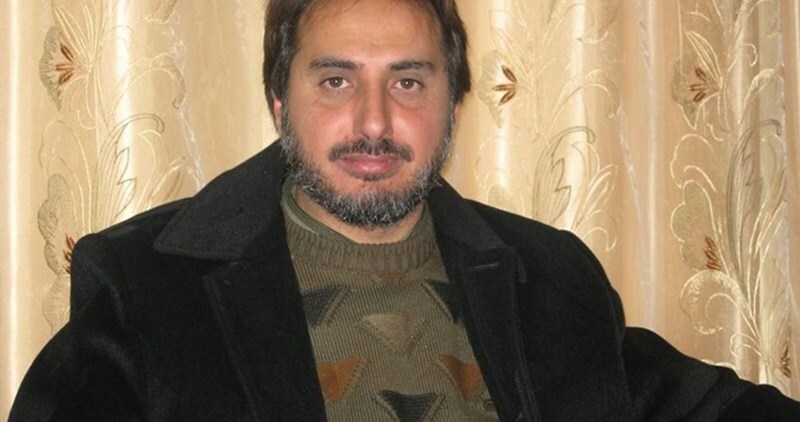 Salama is a prominent resistance figure and a leading member of al-Qassam Brigades of Hamas. 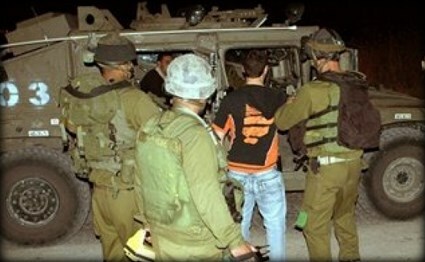 The Israeli occupation forces (IOF) kidnapped 10 Palestinian citizens, including a lawmaker, during raids on homes last night and at dawn Tuesday in the West Bank and Jerusalem. According to local sources, the IOF kidnapped Hamas-affiliated lawmaker Abdul-Jabbar Fuqahaa following a dawn raid on his home in Ramallah. He was reportedly beaten by soldiers during his detention. A young man identified as Mamoun al-Raghid was also taken prisoner during an IOF campaign in Ramallah city and another one called Miqdad Derwish was rounded up at the Container checkpoint in Bethlehem as he was walking back home in Deir Abu Mash'al village, west of Ramallah. In Nablus, the IOF kidnapped a young man from his home in Yatma town, south of Nablus, and three others during campaigns in Tarqumiyah and Beit Ummar towns in al-Khalil and in Taqu town in Bethlehem. In Jerusalem, three young people were taken prisoners by the Israeli police following violent raids on their homes in al-Issawiya district. Israeli soldiers have kidnapped, on Tuesday at dawn, four Palestinians from their homes in the al-‘Eesawiyya town, in occupied Jerusalem. Lawyer Mohammad Mahmoud said the soldiers invaded and searched several homes, and kidnapped Moath Obeid, 18, Bassem Mheisin, 17, Mohammad Jamal Mahmoud, 18, and Fares Dari, 18. The soldiers also interrogated many Palestinians, in their own homes, while examining the ID cards. On Monday evening, the soldiers kidnapped Ammar Abu Assab, 18, and Ma’moun Zghayyar. The army also released a young man, identified as Fadi Mattour, shortly after abducting him in Bab al-‘Amoud area, and ordered him to return later for interrogation. 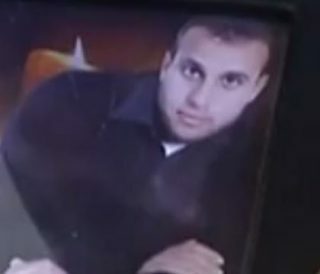 The Palestinian Detainees’ Committee has reported, Tuesday, that the Israeli Prison Authority moved detainee Fuad Rabah Aassi, 30, to the Soroka Hospital, due to a serious health complication as he continues his strike for the 45th consecutive day. The Committee said Aassi was held in solitary confinement, in the Asqalan Israeli prison, and that he was moved to Barzelai Israeli Hospital. He started facing various health complications several days ago, and was not provided with the needed medical help until he was hospitalized. The detainee, from Beit Liqya town in the Ramallah and al-Biereh District, was taken prisoner on September 8, 2015, and remained held under Administrative Detention without charges or trial; he declared hunger strike on April 5 this year. It is worth mentioning that the detainee is the twin brother of Mohammad ‘Aassi, who was assassinated by the army in November of 2013. He is married, and was previously arrested three times, spending five years in Israeli prisons and detention centers. Israeli navy ships attacked, on Tuesday morning, several Palestinian fishing boats, kidnapped two fishers, and confiscated their boat, before towing it to the Ashdod Port. The Palestinian Fishers Syndicate said the two kidnapped fishers have been identified as Samer Zayed and his brother Ibrahim. 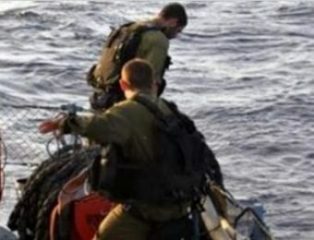 In related news, the army released eight fishers, who were among ten fishers kidnapped in Gaza territorial waters, northwest of Gaza city, on Sunday. The two other fishers remained held by Israel. There are approximately 3500 fishers in the Gaza Strip; they own around 700 boats, and provide income to more than 70.000 Palestinians. The Palestinian Center for Human Rights (PCHR) issued a statistical report, just a few days ago, documenting 47 Israeli attacks against the Palestinian fishers since the beginning of this year. The attacks included 24 incidents of live navy fire against the fishers, leading to the injury of five of them, and the abduction of 35 others, in addition to the confiscation of nine boats. Israeli police arrested Monday evening two Palestinian boys for allegedly being involved in an anti-occupation attack in occupied Jerusalem. Israeli police claimed in a statement issued late yesterday that two Jerusalemite boys aged 16 and 13 were arrested for allegedly trying to set fire to an Israeli military camp near Issawiya town east of the occupied city. 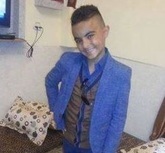 The two detained minors were taken for investigation in a nearby police station, the statement added. The Israeli Occupation Forces (PIC) arrested at dawn Tuesday MP Abdul Jaber Fuqaha of Hamas Movement’s parliamentary bloc after violently storming his house in Ramallah. Family sources affirmed that the Palestinian lawmaker was severely beaten and brutally attacked during his arrest in front of his home as his wife and kids watched. The Palestinian lawmaker Fuqaha spent more than six years in Israeli jails during five arrests. He was released from his last arrest in April 2015. Palestinian lawmakers have been targeted since the Palestinian resistance movement, Hamas, scored a landslide victory in Palestinian elections in 2006.